What can you do with a 3D printer today? There is a whole lot of misinformation out there: technology-oblivious and badly informed people will readily try to convince you that you can print “anything” with a 3D printer. While that argument is easily disproven, the category of 3D printing opponents (i.e. those that cannot or do not want to recognize the usefulness of this technology) seems more difficult to convince. They argue that especially FDM printing (i.e. the most commonly encountered type of 3D printing) only serves to make trinkets or toys and that it is hardly ever used to produce something truly useful or artistic. Well, we beg to differ. To prove our point, we will show you the amazing works of a US-based company called Aztec Scenic Designs. Aztec is comprised of a team of designers, fabricators and artists, all from various backgrounds. While they all realize “traditional” artistic works, some of them actually started using 3D printing for their artworks. After a steep learning curve, they now seem set to take 3D printing to its absolute limits. And their artworks are seriously mindblowing! Evidently, this interested us, so we have interviewed Mark Leonard, their resident 3D printing guru. Before starting you should note that the present post is very picture-heavy, so please be patient and allow for some time for the site to load! 1. 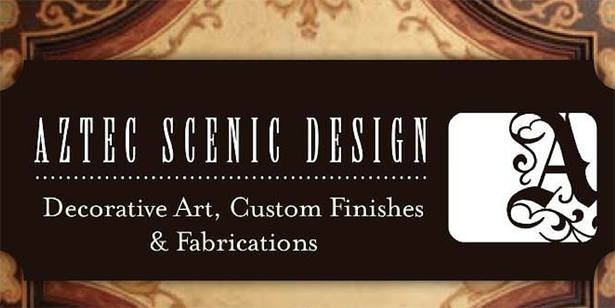 Aztec Scenic Designs creates and realizes “Decorative Art, Custom Finishes and Fabrications” – your online portfolio includes the designs of ceiling art, wood beams, bathrooms, cabinets, staircases and general artwork. You also use 3D printing for your designs, especially ceiling art – what made you choose 3D printing as a medium for your artwork? Mark Leonard: “I saw my first 3D printer on Youtube by watching the Giant Robot Project. After seeing this great but completely crazy project materialize (the use of a 3D printer was paramount in the making of the robot) I was completely hooked and knew 3D printers could be used to make just about anything. However, I had an advantage as I had been working with CAD software for some time before ever actually hearing of 3D printing or seeing a 3D printer. At that time, I was trying to 3D model and animate an invention I had devised. As work was slow, I had lots of free time on my hands and I decided to start my adventure with Blender. I sat back and watched every tutorial I could find for about two weeks. After installing the program, I got to know my way around it without a whole lot of effort. Trying to figure out Blender gave me a good base understanding of the different aspects of modelling, animating and rendering. When I finally learnt about 3D printing and started thinking about its possible applications, I also started using 123Design to model. I used my same crazy process. 1: Watch all the Youtube tutorials 2: Install the software and get right to work. Currently, I am using Autodesk’s Fusion 360 for most of my projects. My first two 3D prints were actually not printed by myself. I just modelled the parts and then used the Shapeways 3D printing service. Once I saw the results, I knew I had to have my own printer. So I started doing some research and decided to buy a 3D printer kit in order to figure out how exactly it works. But I also wanted to learn how to fix and tweak it. My choice finally fell on a 8 inch Makerfarm Prusa i3. 2. Your 3D printed media ceilings look absolutely stunning. How many hours did you work in total on pieces like that? And how many hours did you spend 3D printing on this project? “Those ceilings, for me anyways, were life absorbing. I spent every waking moment working on them and I lost total track of time. I really wanted to push the limits of 3D printing and take it as far as possible until somebody told me to stop. I 3D modelled as I went and focused on one part at a time. I made sure that the printers were printing from the time that Gabriel gave us the go-ahead and kept adding details as long as time permitted. But I simply cannot tell you how much time we spent in total on that project. I just stayed super-focused and tried to make the ceilings as cool as I could until the bossman said “enough”. Personally, I could have kept going and adding finer detail forever, but there is this odd thing called a “budget”. However, I have no idea what that is. As for printing time, once again, impossible for me to tell. Some of the parts would print for 16 hours and some would take a few minutes. Before my 3D printing epiphany, I would have been sculpting everything by hand, handcarving with a knife from wood, foam or a special sculpting material like Apoxie sculpt clay. Handcrafting those projects would actually have been a lot faster than using the 3D printers, because of my yearlong experience in carving. With the 3D printers, I spent about 50% of my time trying to get machines to be consistent and learn in the same time what I was doing. My every waking hour was spent tweaking and modifying machines, while at the same time figuring out how to improve my models and prints. For this project, we used about six printers at the time; all were Prusa i3’s except one Ditto+. 3. The designs on the media ceiling are actually quite complex. Could you please tell our readers how does one plan and execute such an intricate and elaborate project? “The media ceilings were a very unique project for me. Usually the client will have some designs for me to start out with. On this project however, I had complete freedom, the only parameter was middle-eastern geometric patterns. So I started with Google images and absorbed all the patterns I could find. After this research, I came up with a basic outline of the pattern and setup all of the border mouldings first. As I started with the simple mouldings, I was able to split them up in order to fit machines. Working with patterns is great because most of the design is comprised of little parts that repeat everywhere. This meant that I could just let a 3D printer print the same part over and over. Once I got something going, I worked on modelling the next moulding and followed my basic design. By the time I had modelled all of the base mouldings out, I had a huge part list of stuff ready to print. I could then spend a lot more time working out the inner patterns. I would take an individual section at a time and model a design inside of that. Only the the ultra detailed and super long prints were saved for last. 4. Can you talk us through some of your other 3D printing projects? “As I said before, I used Shapeways for my first Aztec project. It was for a Bronze door handle where the deadbolt part was removed and I had to make a cover for it that was decorative and had initials on it. I had it printed out of metal and the results look fantastic. From there on out, I have made many things for Aztec. Sometimes I take moulds of and then cast the object, other times, I just use the prints as a base and then start sculpting on top of them. Just check out some of my photos below. 5. What printer(s) do you use? Did you ever consider using professional printing services instead of using an FDM printer? “I generally use 3D printer kits. In my opinion, mounting a 3D printer from scratch is the best way to learn how they work. At Aztec, we have two Makerfarm Prusa 8 inches. Personally, I own one Makerfarm Prusa 8 inch and two 10 inch. I also recently bought a Rostock Max V2 from seemecnc. Austin Butler, another member of the Aztec team has a Ditto+ from Tinkerine. Each machine is different and I try to capitalise on each machines different capabilities. Most of our printers are very moddable/hackable, so I am constantly tweaking in order to make each printer better, faster and more reliable. My absolute favourite printer is the Rostock Max V2 with cyclops nozzle. Although it’s the new kid on the block, I love it and have a lot of fun to watch it print. I still have much tweaking to do to perfect it, but am enjoying learning the ropes of dual extrusion. However, it is not recommended for a beginner in 3D printing. Personally, I consider that the Makerfarm printers are the best for somebody starting out in the field. They offer the most bang for the buck, they are easy to build and extremely moddable/hackable. For instance, I have added auto-levelling and e3d nozzles, modded the 10 inch machines to give me about 1.5 inches more build and also moved the control and ramps/arduino to the front of the machines for easier control. As a personal touch, I painted/gold leafed nice finishes on them. 6. What CAD software do you use for creating your parts? What slicer are you using for your preparing your prints and is there a specific software that you recommend? “I use all of the free software out there, like Autodesk 123Design, Meshmixer, Blender and Sculptris as CAD programs. I also use a lot Fusion360 which is very powerful, but unfortunately it is not free. I have tested and am working with Slic3r, Cura, Mattercontrol and pronterface as slicer and printer control software. The software is a very important part of the whole 3D printing toolchain and it is very easy for beginners to get confused or overwhelmed when they have to choose what to start with. I recommend trying out 123Design. It’s so simple and easy to learn. Plus all the access to all the other 123D apps and programs is totally the way to go for any beginner. Just watch some tutorials then off you go, you will be making stuff in no time! The power to do amazing things is also there. Once you get a grip and are ready for even more power switch to Fusion360. If you know your way around 123dDesign figuring out Fusion will be a breeze. As for the other programs, I really like Blender, as it can do everything. Although it’s very complex it is both amazing and very powerful. I use it to animate designs or take complex pictures where I need the ability to control lighting or perspective. The Game physics engine is also fun to play with. However, I don’t usually use Blender for 3D printing though. I use Fusion360 for most of my designs now. Meshmixer is used mainly to fix files or create support, as well as to mix different .stl files. I have also used Meshmixer to colour models for colour sandstone printing from Shapeways. Sculptris for more complicated sculpting some day I will buy Z-brush. Meshlab is another program that I use to make files smaller. And also I use Inkscape/Gimp to get vector drawings to import as sketches into Fusion360. 7. Your artwork is incredibly complex and colorful – it is obvious that those 3D printed pieces have been post-processed in some manner. What exactly do you do for post-processing, in order to obtain such high quality pieces, especially considering that you “only” use standard fused deposition modelling (FDM) printers? “I have to admit that having sculpting abilities helped me a whole lot in this respect – I had already worked with a lot of post-processing materials for my creations before I even started 3D printing. We do use a myriad of products and some of those proved compatible for post-processing 3D prints too. We have been covering prints with fiberglass resin for a certain time, like Bondo all purpose fiberglass resin. But more recently, I achieved a high enough quality with my prints so that I decided that I could sand them immediately. Then I spraypaint a couple coats of Primer/filler on until they are smooth. As filler/primer, we mainly use the high build formula RustOleum filler/primer. Anyway, on most prints it is better to lower the layer heights and not have to do as much filling. If I get a huge project though with lots of pieces, I still use the resin technique. 8. Do you sand your prints? If yes, considering the sheer amount of 3D printed pieces you create, do you use tools for sanding? 9. After post-processing, you color your prints – what paints do you use? What technique do you use for coloring – by hand, airbrush, paintbrush, other? 10. Do you have any pro-tips we could share with our readers with regards to post-processing 3D prints? “I used to think that faster was better – so I printed at high layer heights thinking that we could save money and time. But experience taught me otherwise: lower the layer heights and take more time with the printing, as this will result in a lot less time lost with post processing. Also, PLA (indoors) is better than ABS (outdoors) because of warp. Scuff prints really good to make sure paint will stick. Get yourself some different grit sizes of sandpaper (150 to 800) and use at least 400 grit paper on your entire print, as slick surfaces will prevent paint from sticking. With the scuffing, you will create a microscopic rough surface for the paint to be able to grip on to. Before applying any paint, we recommend using a primer. If necessary, we will also resin coat the prints. You can use orbital sanders or Dremels on the resin – the Dewalt orbital sanders with speed adjustment have been producing very good results, but only with light grit discs. Put your adjustable sander on low speed and don’t let it sit on one spot – friction will produce too much heat, thus melting the print. And pay attention not to put too much pressure. 11. You are using 3D printing professionally – where do you feel that this technology is still limiting? Taking into account your vast experience, what are some of the most problematic and limiting factors of using 3D printing today? Will you continue to use this technique for your future artworks? If this article has peeked your interest in the works of Atzec Scenic Design, please have a look at their website with their online portfolio or contact them via their Facebook page. Or would you like to see the Aztec team in action? Have a look at their videos, especially this one. You should also check out their youtube channel. If you want to see even more pictures, just check out Mark Leonard’s (aka 3dKreashunz) imgur profile. And if you were amazed by the works presented in this article, please let us know by leaving a comment below. It sounds like you are missing the host software that connects your computer to your printer. This software combines two functions: 1. It allows you to prepare the print by placing (rotating, orienting) it on the build platform. 2. It contains the so-called slicer that cuts the model into horizontal slices (layers), generates toolpaths to fill them and calculates the amount of material to be extruded. The output of the slicer is a gcode file that contains all the instructions that the printer needs to 3D print an object. You then have two options to send the data to the printer: either directly from your host software (if the printer and computer are connected via USB) or by using the SD card in which case you need to save the gcode file onto the card. Hope that helps! Don’t hesitate to ask if there are any further questions. I am always printing something for a project. I usually us a local service to do the work for me. However, I have never done 3D printing before. Are there tutorials or online classes where I can learn more about this? I would love to use this concept in a future project. Thanks for commenting. Actually, we do try and provide a lot of information on how to 3D print on our website. 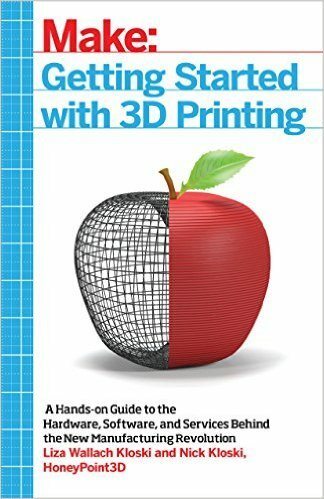 If you are new to the technology, I do recommend starting with our introduction to the 3D printing technology, before reading some other articles from our beginners corner. Understanding the technology is paramount to being able to master the machine. Also, we are currently working on some more in-depth tutorial articles, but we are overwhelmed with all the printer tests and other requests, so that may still take some time. Check in regularly or sign yourself up to our mailing list, so that you will be apprised of our latest articles. 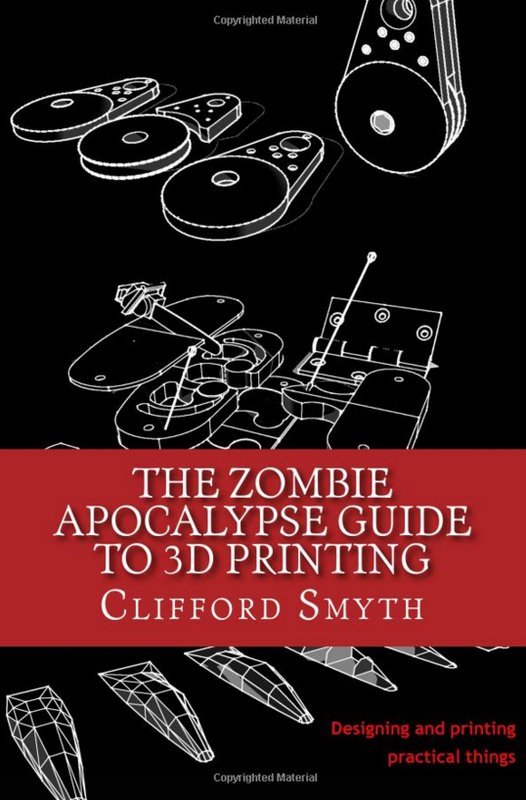 However, the two things you absolutely need to know is that 3D printing (i) does not allow you to print anything you want (that is a common misconception spread especially by the press – it allows you to do a lot, but the technology has limits) and (ii) 3D printing is not (yet) an out-of-the box technology. Please do not construe this as me wanting to discourage you from learning 3D printing, but I want to stress that there is a lot of misconception and misinformation out there. You will need to learn the functions of a 3D printer, the technology behind it, methods on how to use it, tips and tricks. It involves quite some amount of tinkering and a strong will to learn from your failed prints. Everybody can master this, but you have to put in the time and willingness to do so. If you are held off 3D printing because of the quite high acquisition prices of 3D printers, please do look for a local FabLab, HackerSpace or a TechShop. There you can play a bit around with the machines and there are always friendly and helpful people to assist you.